We all want to know what makes a bully be a bully. From my own experience, I have seen certain characteristics of a workplace bully and with time have noticed some definite character traits. The signs may be subtle but are all used to create an emotional reaction, usually anxiety, which establishes greater control and power over the victim. At the very least, this is rude. What it really means though is that the bully intends to embarrass and humiliate you. Have you had this happen to you? It is awful to be in a meeting and being completely ignored. Again – it is intended to embarrass and humiliate. This is a somewhat subtle way for the bully to treat you as though you are stupid. This happens to me on a regular basis even though the problem is always the bully. Have you ever had someone “look down their nose” at you? I have heard so many excuses over the years, I can’t begin to count them all. It is impossible to ask a question of the bully I work for because he never lets anyone finish a sentence before he is interrupting. If you try, he will yell. 8. Repeatedly lying or concealing the truth and projecting false hopes with no plans to act on them. How about seldom, if ever, giving an employee a raise. Here you have to beg for one and even then you probably will get turned down. My boss doesn’t come out and directly threaten. He prefers to “imply” that something might happen. The problem I have here is that I stopped a long time ago attempting to address concerns. It just isn’t worth the fight. I never know when I walk in the office door what I have in store for me for the day. I talk more about this later. The bully’s mood swings are pretty constant, most of the time he is in a bad mood. In my life dealing with a workplace bully, I have definitely encountered all of the above. One thing that has always struck me at my office is how very cold it feels. It doesn’t matter what the actual temperature is, it is cold. I swear when he walks into the front office the air literally chills by several degrees. It stays cold all day long. When I first started my job here, I noticed that I was always cold. I would voice my complaints but of course to no avail. I started wearing layers just to be semi-comfortable. I mean layers EVERY day, summer or winter. When it finally dawned on me that the coldness is not a reflection of the actual temperature but a reflection of the underlying coldness of the bully, I was amazed. Did you know that someone can actually affect the temperature in a room or building? Well, they can! Another big impact the workplace bully has had on me is that I have a professional degree and worked for many years in a suburban area before moving to my current rural surroundings. I worked with some of the best and learned a lot. In other words, I know what I’m doing. When I started working for the bully, I noticed that he never asked me how things were done in other offices. He never asked for my opinion on how to do things, if things could be done more efficiently or if I had any input on how the work was performed. Nope, nada. To this day, he has NEVER asked me for my input. To make matters worse, he delegates trivial and mundane work assignments to me rather than having me do the work I am trained to do. No, he does all that himself and charges his clients accordingly. It has been a huge struggle for me because he is wasting time and money that could be better utilized. It has been an ethical dilemma for me for a long time. One of the bully’s favorite tactics is to confront me in front of other people. He seems to love pointing out some mistake, usually his mistake, and treating me as though I am an idiot for not catching this mistake. I have watched people around me become noticeably uncomfortable at the way he is treating me. I have even had clients call me afterwards and tell me how sorry they are that he behaved in that manner. Being a professional, I have never argued or shown anger towards him when he is doing this, but I have to say, sometimes it gets very hard for me to stay in control. The bully boss also tries to overwhelm me with work and expects everything to be done immediately. It requires me to multitask and get rushed to try to accomplish the tasks. I truly believe he is trying to get me to make a mistake so that he can point it out and yell at me. I think it makes his day. He constantly interrupts me while I am in the middle of an assignment just to give me more work to do. He will stand behind my chair while I am at the computer and will “dictate.” I cannot see him but I know he is leering at me from behind. It is a very creepy feeling. He often leans over me while I am sitting and will point at things on the computer. In other words, he is way too close for comfort. I have made a plan to get out of this job, sooner rather than later. I started looking online for something that I could do from home. I set up a cute, comfy office at home and have my computer ready to go! Now, to find a job. A lot of “work from home” jobs online are just scams. It takes a long time to sort through them. After months of searching, I came across Wealthy Affiliate, which is a platform designed for affiliate marketers of all levels. I know nothing about affiliate marketing, but I know there is a way to make money with it. I tried the free version and knew I had found what I was looking for. 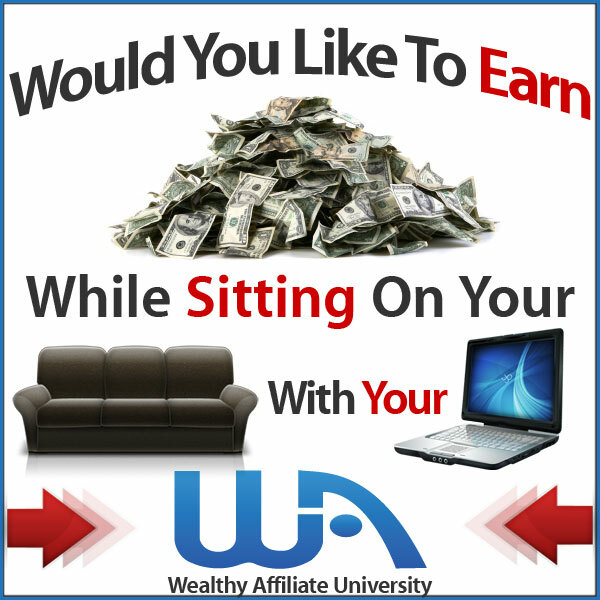 In fact, this website was created using the training I received at Wealthy Affiliate! More information can be found here. I also know that my health is at risk from working in such a hostile environment. I have started taking CBD Oil which is doing wonders for me! Here’s some information on it, if you are interested in what it might be able to do for you. Wow, I would not have guessed that this existed in the workplace! You would think we are all adults and should work together. I worked in the communications industry for a good 22 years, and thank goodness, never experienced a work place bully. That would really make the job so not enjoyable. I would not really have known what to do quite honestly. If there is a work place bully, I would bet that no one wants to do anything about them. Am I right? Thank you so much for your comment. It is scary how much workplace bullying occurs all over the world. It is hard to imagine that adults behave this way, but sadly, they do it and it is quite common. Having a bully in the workplace causes all kinds of problems with productivity, mental and physical health, absenteeism, etc. My hope is that one day the problem will be addressed and there will come a time when it doesn’t happen at all. But for now, as you said, no one wants to do anything about them. Let’s hope for the future! Thanks again for your interest. This is a really interesting topic. People talk about bullies in school all the time but little thought is ever given to the idea that bullies exist in the workplace too. The list you provide definitely documents negative workplace behavior. And I think too that some people exhibit bully behavior because the office environment is poor. That’s definitely something that had an effect on people where I used to work. A negative environment can create bullies. Thanks Nicole for commenting! There are a lot of workplace bullies out there unfortunately. You may be right that the behavior is due to the office environment, but in my situation, the bully causes the negative environment. So there is no easy solution. Hopefully, there will come a time when people treat each other with respect and dignity. I appreciate your interest and hope you visit again! Wow you have been through a lot. It is sad that some employers and supervisory staff turn to bullying to get their employees to do their jobs. They just do not realize that it they would just be happy, cheerful and encouraging that more work would get accomplished. I have had a pushy harsh supervisor in my past job and it totally made me shut down and not be able to think so that I could complete my projects. I was fortunate that things were worked out and apologies said and we went back to working as a team. In many workplaces this does not happen. I am happy for you that you have found an online job that takes you away from the bully at work job that you have had in the past. Thanks for the comments Monika! It’s crazy isn’t it that bosses don’t understand or refuse to acknowledge that problems in the workplace causes work to be less productive, more absenteeism, and costs more in the long run. I am so glad to hear that you were able to work out your differences with your supervisor. That is wonderful! I am still at the job but am continuing to work on my online pursuits and one of these days – workplace bully bye bye! !